[glossary_dictionary term=””] The Thessalonians were suffering “tribulation” just like “God’s churches in Judea” (1Th. 3:3-4; 1:6; 2:14), and elsewhere (Ac. 14:22. 1Pet. 5:9). Paul had put the tribulation they suffered in an eschatological context citing the righteous judgment of God and the coming kingdom (2Th. 1:4-10). False prophecy via “spirit…word…letter as if from us” twisted Paul’s words to teach the Thessalonians were experiencing the “Great Tribulation” and the “Day of Christ” resurrection-gathering-rapture (1Th. 4:15-17) was past (2Th. 2:1-2. 2Tim. 2:18). They were troubled and shaken God found them unworthy (cp. 2 Th. 1:11), so they were “left behind”. This indicates the Thessalonians did not expect to be raptured BEFORE the Tribulation, they thought it would happen during it. Then Paul’s answer makes sense. He proves the tribulation then occurring cannot be “the Great Tribulation” because “the man of sin son of perdition” was not then sitting in the Temple of God declaring himself God. As that wasn’t happening, the tribulation they were experiencing cannot be the “Great Tribulation” during which the church will be raptured. In other words, if the tribulation caused them to believe they missed the rapture (pretribulationism) then why didn’t the tribulation in 1 Thessalonians 3:3-4; 1:6; 2:14 do it? Why wait till the Second Epistle? AND Why was “false prophecy” needed to teach what they already believed? The Great Tribulation (Rev. 7:9-14) begins when the Man of Sin morphs into the Son of Destruction 3 ½ years later, declaring himself God in the Temple of God (2Th. 2:3-4). He then slays anyone who refuses his mark (Rev. 13:5-10; 14:9-12). The Rapture happens during the Great Tribulation (Rev. 14:13-16), not before it. Clearly the Rapture happens during the Great Tribulation (Rev. 14:13-16). That is what the Thessalonians believed and why it was so easy false prophecy convince them the rapture had past. Paul proved their present Tribulation (2Th. 1:6) was NOT the “Great Tribulation” as the “Son of Perdition” had not yet appeared. 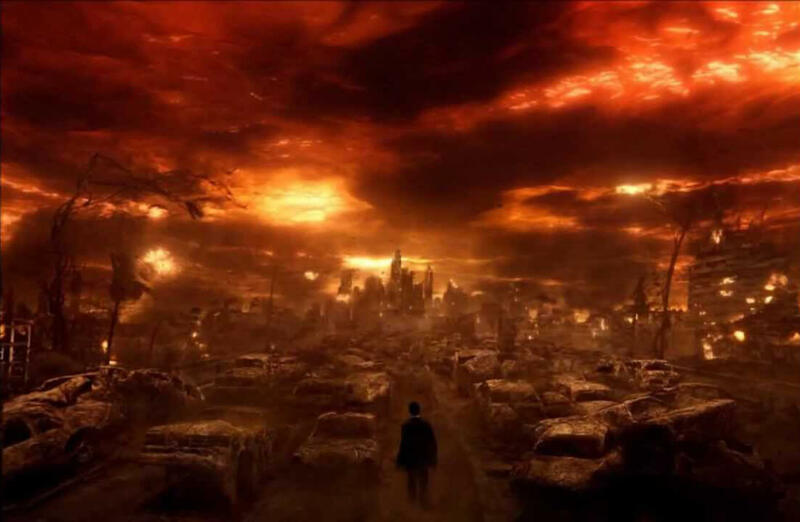 Does the “doctrine of imminence” require no predicted event alert us to the nearness of the rapture? Not according to Jesus: only the Father knows the day or hour (Mt. 24:36), but when “you see all these things know that it is near at the doors” (Mt. 24:33). So the imminence applies to AFTER the signs of the end are seen, not before. Don’t confuse the gathering of the elect by Christ’s angels with the rapture that occurs “after that tribulation” (Mk. 13:24-27). Not only does that happen AFTER the Tribulation, it involves the ministry of angels (plural). Those differences distinguish it from the rapture Paul spoke of in Thessalonians and Corinthians and that is revealed in the book of Revelation. In a twinkling of an eye believers are changed and then meet Christ in the air without angels gathering them. During the Tribulation as the church is being martyred for refusing the mark of the Beast the dead in Christ rise first and in a twinkling of an eye the living are changed and meet Christ in the air. (1Cor. 15:52. 1Th. 4:15-17). This “harvest is ripe (3583 ξηραίνω Rev. 14:15)”, “dryness” meaning wheat is being harvested and its fully mature. If the harvest is delayed it will ruin the wheat. So also the “grapes are fully ripe (187 ἀκμάζω Rev. 14:18)”, their “sweetness” (Louw-Nida) indicating the perfect time to harvest them. These are two very different crops and their final end is in stark contrast. The wheat harvest connected to the promise of relief from suffering (Rev. 14:12-16), the grape harvest connected to God’s wrath (Rev. 14:17-20). In the first its the symbolic “son of Man” who reaps the wheat, in the second the angel with power over fire (Rev. 14:17) gathers the clusters of grapes. “The earth was reaped” (Rev. 14:16) versus “gathered the vine and threw int into the great winepress of the wrath of God” (Rev. 14:19). These incompatible properties remove all possibility these are a doublet. 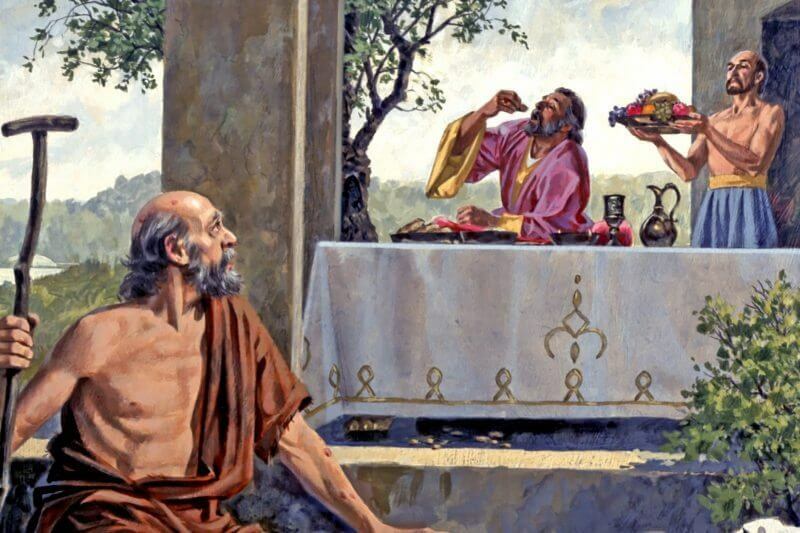 The gathering of wheat clearly contrasted to gathering grapes that are then thrown into the winepress of God’s wrath. This confirms what the Thessalonians believed (2Th. 2:1-2), that the rapture occurs during the Tribulation, not before or after it. Consistent with this, Rev. 15:2-4 show “them who had gotten the victory over the beast” in heaven, which would include all who endured to the end gathered to Christ by His angels that happened after the rapture. This occurs just before the seven last plagues are released onto the earth (Rev. 15:1, 6). In conclusion, Rev. 14:14-16 is the rapture event that occurs after the martyrdom of the church for refusing to receive the mark of the beast (Rev. 14:9-13). 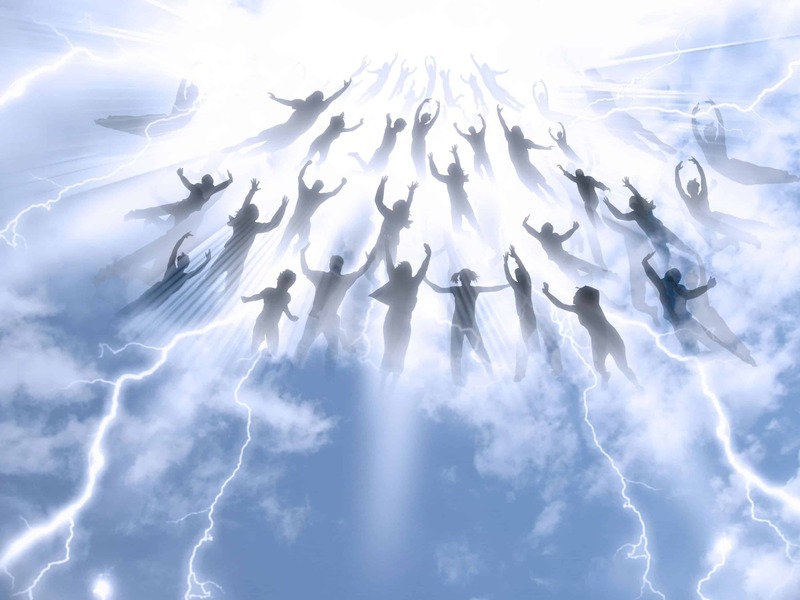 Those who convert after the rapture will be gathered by Christ’s angels just prior to the pouring out of the bowls of the wrath of God.